At Belatrix our goal is to continually improve our processes, in order to ensure teams work effectively and efficiently together. This is important not just internally at the company, but of course also how we work with customers. As a result, we have modified traditional methodologies, in order to ensure they have the desired long-term effect. In order to continually improve, and keep up with the changes in the business and technology environment, organizations around the world look to process improvement. Yet the typical way of conducting this activity, whether using Six Sigma, Total Quality Management (TQM), or other methodologies, is often flawed. Even if they achieve initial improvements, it’s human nature to fall back into old habits. This is why many process improvement initiatives ultimately end in failure. In this document we want to share some of our experiences. We hope this both provides useful insight that you can use in your organization, and also provide insight into how Belatrix seeks to continuously improve. What is the objective of process improvement? Remember, this methodology can be applied to internal or external processes, within the company or even for a third party. Here at Belatrix, we apply a mapping process (DMAIC, Six Sigma, Lean methodology) to detect errors and improve processes. The first step is to decide whether to use a qualitative or quantitative approach – and this is decided based on the project, the process, and access to data. We apply a qualitative approach (instead of statistical data or hypothesis) when considering what people need from the process. We apply a quantitative approach (based on metrics) to detect the reworks or “waste” in a process. 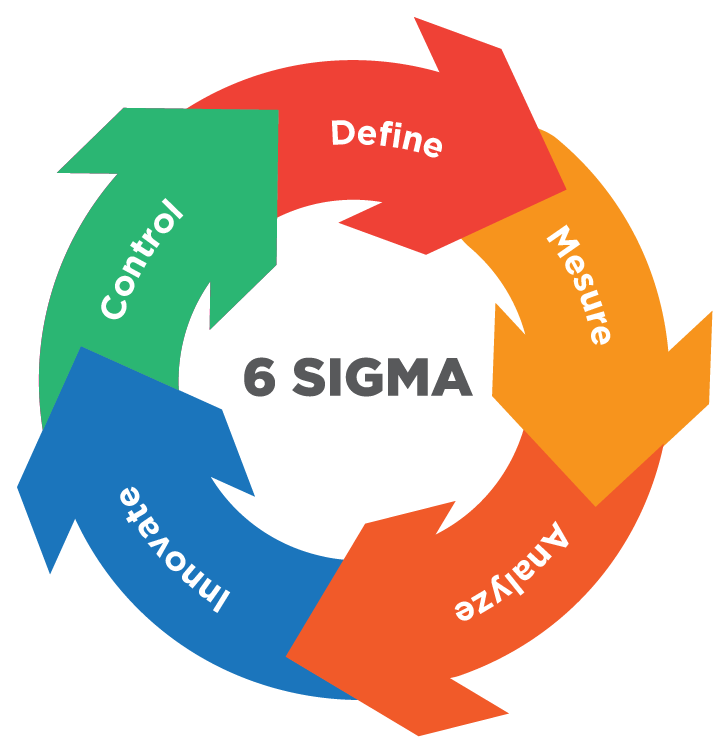 Note that process mapping should be done as defined by Six Sigma, which involves 2 to 3 interviews with the teams. This technique enables you to get the process flow “as is”, and then the team identifies the reworks, waste, and bottlenecks. The value added steps are also identified. The key to what we do differently is in research and data collection, combined with our analysis of the data. Ultimately, we want to capture both the team voice, as well as upper management insights regarding the process. For this, Belatrix has innovated on the technique used to acquire data and how to analyze it. It comprises of different interviews, which we will now examine. This is kept in the field work diary, and it is used to create the reports and statuses of the process improvement. Special Note: The field work diary is made in order to have a record of each meeting. These notes are of personal use to the interviewer, and are kept confidential as they deal with feelings, emotions or personal thoughts of the team and from the interviewer. This needs to be agreed with each interviewee, before starting the interview. If you need to reexamine one topic, a new session interview needs to be coordinated. Mapping key processes to the corresponding activity level, and highlighting the process gaps, reworks and handoffs. Mapping the activity level “as is” of the respective sub-processes and completing a report with the improvement recommendations. A qualitative approach (over statistical data or hypothesis) should be used when considering the needs and findings of the process. For this approach the mapping is on a team flow level and not up to management levels. The map is also a deliverable for each team, so they can keep working on the flow. This is important for encouraging continuous improvement. Each team can establish the level of the mapping, whether as a high level approach or down to command level for new hires. A quantitative approach is used when the process already has the metrics implemented on each stage, and this can be used to detect, and analyze rework. Statistical data can be analyzed using this approach, and the Sigma level established. All variables can be readjusted to get a tailor-made process improvement, and the numbers of the statistics can be used to measure improvement. The first meeting should be arranged with the project leader or Scrum Master (SM) in order to understand the main flow of the project. A second meeting may be needed to get the complete flow diagram. The following meeting is with the team, in order to understand the flow, and to get to know the Value Added (VA) and the Not Value Added (NVA) steps. This type of interview is held after the flow of the process map has been established. It is a meeting which involves a deep dive into opinions and area of improvements. It is arranged with the Project Leader/Scrum Masters, as well as with upper management in order to get insights into areas which can be improved. All items from the list of value added (VA) and not value added (NVA) from the teams must be re-asked to get to know the different points of view of all the teams members, as well as from management. The knowledge and insight of the people with more experience has to be asked in order to compare and contrast with what the team is handling on a daily basis. These questions enable you to get to know where the gaps in the process may lie (from day to day actions up to upper level decisions). This interview also allows you to understand the cultural visions of the process as a whole. It should be coordinated near the end of the process improvement (the last contact with the teams and upper management) and should be done near the analysis phase for greater insight. Now that you have conducted a mapping session with the Project Leader/Scrum Master, and the team has been established, the next step is a meeting session to set the value added (VA) and non value added (NVA) items. This is a special occasion, as you have to have a high level of confidence and trust with the team in order get quality feedback. If there are topics regarded as confidential, they must be addressed and handled with care, since the aim here is to share with the project. The VA and NVA items are different from team to team, and they can be expected to differ from one team to another. That is why it is important to get at the reasons for what people are saying. In a high performing team, they will be taking into account many factors when estimating their Agile sprint, such as the technical difficulty, the time needed for different tasks, and new incoming tasks. This is what makes an estimation precise. Asking what variables they are considering, is key to get improvements for the lower performing team. For a lower performing team, the range of different factors and variables can mean they are not able to make an accurate forecast. The team may not have experience. Or it may not be confident enough or have enough trusted relationships to ask for help at the moment something unexpected happens. Such factors can result in imprecise estimates. Once all the meetings to get the VA and NVA items are finished, ask about them again during the insights interview. This will help you get to the source of all the improvement actions. Then make a list with all the topics, by area of improvement. Make sure to review if topics come up repeatedly, as this means you can see how relevant the topics are. You should only conduct the analysis once all the fieldwork has been completed, the interviews have finished, and the data has been collected (qualitative or quantitative numbers and measures). Analyze the divergence, why a team states a topic as VA and another team as NVA. Get to the root of this divergence. The way to implement the improvements are another stage that has to be coordinated with the organization. This methodology has proven to be highly effective in order to get to know what everyone is doing. The insights provide introspection into the project flow, and also provides the opportunity for individuals to speak up across all the process. What is more, people enjoy it, and it is highly rewarding and motivating for everyone involved!